Newsroom report that IRD have 64 staff dedicated to chase up student loan repayments from people who have moved overseas, and none working solely on property speculators who ignore the bright line test. I don’t think it is this simple, but this does look like a system slanted against students and easy on speculators. In spite of the bright-line test having an incredibly low compliance rate, Inland Revenue has no full-time staff chasing property investors who fail to pay what they owe. The test, which came into effect in late 2015, is designed to crack down on property speculation by automatically taxing profit made on the sale of residential property (other than the main home). Initially it applied to property sold within two years of purchase but earlier this year the Government passed legislation extending it to property sold within five years. Nearly one in three eligible property investors fails to comply with the test and documents released to Newsroom under the Official Information Act show the compliance rate is worsening. A report given to Revenue Minister Stuart Nash in May estimated bright-line test compliance could be lower than 50 percent. Despite this, the IRD has not, in the three years since the bright-line test was implemented, established a team for chasing non-compliance and recovery. Information released under the OIA to Newsroom said the IRD did not have dedicated teams for bright-line recovery nor did it have a separate budget for bright-line recovery activity. Instead existing staff were used to track down people who had not filed a return for possible tax due under the bright-line test. This stands in stark contrast to the student loan system, which has 64 staff chasing borrowers who have moved overseas and are behind on their repayments. The team had a budget of $2.245 million for the period July 1, 2017 to January 2018. This sits on top of more than 3000 staff across IRD involved in some way with compliance activity and debt recovery, including chasing overdue student debt. The 64 staff employed by the student loan team are “predominantly” tasked with tracking down more than 75,000 overseas borrowers who collectively owe $1.2 billion dollars, according to the latest report from IRD. Tax on property speculation is a part of whole tax obligations for those dealing in property, so could be picked up through general tax checks, but it does seem odd that more focus isn’t put on it, given the current and last Governments’ talk on cracking down on property speculation. Can the new government stabilise house prices? Presumably one of the things on the agenda of parties negotiating to form a new government will be property prices. Can much be done to control property inflation? It is a world wide problem. Is it already under control enough? Property prices escalated early in the century – I bought a house in Dunedin in 2001 for $108,000 and sold it in 2006 for $245,000. They flattened with the arrival of the New Zealand recession in 2008, followed by the Global Financial Crisis. After a few years they took off again, especially in Auckland and some regional places like Queenstown. Over the last year they seem to have flattened off in Auckland but continue to surge in some other areas. From Reddit: What can the new government do to lower or stabilize housing prices? Let’s not turn this into a racial issue because it’s not. Money flowing overseas did increase housing prices. That’s a fact. Floodgates open and infrastructure could not keep up. However Singapore and the likes of Canada have done stricter rules to stabilize and even lowered housing prices. Not pre 2005 prices cause that’s not gonna happen but at least it’s helped wages to at least keep up with the prices bit by bit. Rules like a first time home buyer has to stay in their property for first 5 years and not being able to rent it out. Rules like not being able to flip a house within a few years. Rules like that seem too restrictive. I have several times sold a house within five years due to changing circumstances or upgrading. Only residents are able to buy land/property etc. Some of it is really common sense and I can’t help but wonder why national would not implement such measures years ago. I can only guess that the Government had hoped that property prices would have levelled off without too much intervention, and that measures aimed at increasing land supply would have been quicker and more effective. The Government may also have been caught flat footed by the downturn in Australia that saw a big turn around in trans-Tasman migration. I like the idea of foreign investors being locked toward building new houses as opposed to purchasing existing homes or something along those lines. Australia has always had this, its a good idea in theory, butit doesn’t work on its own. There are too many loopholes and various schemes available to make you a non-foreign buyer. Also it wasn’t ever enforced properly. Only citizens can purchase freehold property (residential, commercial, and rural). If foreigners want to invest here, allow leases up to 99 years. Universal land tax (e.g. 0.5%), with the revenue raised to reduce income taxes by the same absolute value. The outcome would be that the average family, with an average income, owning an average number of properties, won’t pay any more in tax. It would be a massive help to the economy, as workers would be rewarded significantly more for their labour. Punitive rates (e.g. 3%) on land bankers, i.e. undeveloped land within urban boundaries. This has been used successfully overseas to encourage development and discourage land banking. Stabilise immigration at a rate which corresponds to the country’s ability to build new homes, after accounting for natural population growth and making up the existing shortfall. A land tax is worth considering, as long as it is offset by a reduction in income tax. It would be simple to implement if it is not complicated by exceptions. We already pay a form of land tax via our local body rates. Stabilising immigration is not easy. We can control the number of new immigrants – and I think that has been fairly consistent. Winston Peters (and others) have claimed we have ‘mass immigration’, that’s either populist nonsense or ignorant. But what has caused the biggest change in net migration is a sudden change in fewer New Zealand citizens leaving, especially for Australia, and a surge in New Zealanders returning. The Government cannot control this, and it makes planning stable nett immigration numbers difficult. Do we need to do much? Auckland house prices have stabilized already. We are waiting on evidence of falling, but time to sell has increased and inventory is decreasing. These are good signs. It’s plateaued high, but at least it’s not increasing further. We may be stuck with the current price levels, unless there is a major international influence. No Government will be keen on a significant slide in property prices. OP your solutions are way too authoritarian. And that’s me saying that. I am perfectly comfortable with states spying on me and CCTV cameras on every corner. Land tax. This will encourage developing real estate rather than sitting on the land. There are lots of other benefits. Cut GST along with instituting this. Unless you own buckets of land and spend little, you’ll be better off. Capital Gains Tax. Ghost properties which are just sitting there maybe being pointlessly renovated or maybe just completely empty are a consequence of being able to flip properties for easy money. Tax those gains. Basically, by Capital Gains Tax I mean adjust the tax system to favour (a) investing in shares and (b) investing in the construction of denser housing forms. Harder urban boundaries (esp. in Auckland) and end subsidisation of greenfields development. This sound contradictory but if you keep building on fertile land you are literally killing this country. Sprawl is environmentally evil and contra-social sustainability. Force places which are overloaded with “pull up the drawbridge, I’ve got mine NIMBYs” to accept (a) transit developments and (b) a variety of housing forms. Basically, the idea is that if you have a plot of land and could develop it into 7 units, you should be (i) able to do so and (ii) incentivised by the tax system to do so. The harder urban boundary is accompanied by fewer restrictions on the types of development that are able to occur within those limits… but with definite state oversight in order to avoid, e.g., leaky buildings (turns out, if you don’t regulate the cowboys out of the market, everyone is a cowboy). Develop a large state owned building programme firm. I don’t care how this is done (the army advertises itself as a tradie’s paradise so maybe we should use it as one, nationalising some suitably large existing firm, starting from scratch) but it needs to happen. This entity would exist to build when private developers don’t want to build, and otherwise to build/oversee particularly large projects. For instance, planners might decide an areas could be more intensely developed. At that point figure out a heavy duty public transport scheme and start building it. Then get our entity to come along and build/fund some tower blocks, terraced houses and other types of property close to the route. Key ideas: if land is expensive (it is), then you can make the dwellings cheaper by having more of them on the same amount of land, but our entire system is not designed to do this. Even worse, our system is designed to basically stop building anything in recessions. We have to adjust the incentives of all possible sources of money and bring the state in on the construction side, whilst also dramatically altering what kinds of infrastructure we build. Whatever the incoming Government does to address housing and land availability it is unlikely to have a quick or dramatic effect. House prices in Auckland are down slightly over the past quarter, and has also been flat to lower in Tauranga and Christchurch and other urban areas except for Rotorua, Palmerston North, Dunedin and Invercargill. Latest data from QV shows house price growth around the country slowing, with the national average climbing 4.3 percent in the year to September. In Auckland, though values had grown 0.8 percent over the year, they dropped back in the last three months to an average of $1,039,066. Values fell in a number of Auckland suburbs, including the North Shore and Waitakere, while rising in Rodney and the city centre. QV national spokesperson David Nagel said the usual spring surge in listings had not happened yet. “The reductions in quarterly value growth have extended from just the main centres last month to almost all the 15 major urban areas we track with the exception of Rotorua, Palmerston North, Dunedin and Invercargill,” he said. Year-on-year growth was showing double digit gains in many provincial towns, but the quarterly figures revealed a gradual slowing of the property market in almost all city locations, he said. Auckland’s housing market stalled in the last three months with property values falling by 0.6 per cent and buyers unable to get finance being blamed. The QV House Price Index showed Auckland values only rose a meagre 0.8 per cent in the last 12 months – the slowest pace of annual growth since April 2011. Isn’t the flattening of prices in Auckland a good thing? property inflation had been causing major problems. Despite the drop, the average current value now stands at $1,039,066 – putting most houses out of the reach of first-home buyers. Nationally, values rose 1.1 per cent in the last three months to September and 4.3 per cent annually. Last month, QV blamed winter, bank lending limits, the election and China’s crackdown on capital flows for national house value growth being the slowest in five years and Auckland values hitting their most glacial pace since 2011. Hamilton values rose 1.3% in the last quarter and 3.2% in the last year. Tauranga values fell 0.1% in the last quarter but rose 6.6% annually. Wellington values rose 0.8% quarterly and 10.7% annually. Rotorua values were up 4.5% quarterly and 16.2% annually. Christchurch values fell 1% quarterly and 0.8% annually. Queenstown Lakes values rose 0.7% quarterly and by 12.6% annually. Dwelling consents, bank lending and net migration were three of the main factors determining house prices, Milford portfolio manager Brian Gaynor said yesterday. Supply in the form of dwelling consents, dropped off sharply in 2009 in response to the global financial crisis and the collapse of New Zealand’s finance company sector. The latter was a major supplier of credit for house builders and property developers, he said. In the four years to 2012, an average of only 14,850 consents a year were issued compared with an average of 26,218 consents in the four years to 2008. Annual consents in excess of 30,000 had only been achieved five times since records began in 1966. The record high was 39,636 consents in 1974, Mr Gaynor said. The huge increase in net migration, to 68,432 for the May 2016 year, had a major impact on demand. It represented a net turnaround of 72,085 since the net outflow of 3653 in the May 2012 year. However, the massive increase in lending to home purchases had also fuelled the housing markets. There much talk about loan-to-value limits but the lending statistics illustrated the regulation had not been effective, he said. The housing market took off a few years ago because of the very low build rate after the collapse of the finance company sector, Mr Gaynor said. Westpac was one of several banks which stopped lending to non-resident borrowers with overseas income last month, and Bankers Association chief Karen Scott-Howman said lenders were responding to signals in the market and from the Reserve Bank. Westpac’s New Zealand unit is cutting interest-only lending terms to a maximum of five years, in a market where investors are the driving force. Interest-only loans were often used by property investors who met the interest repayments and left the principal untouched on the expectation they could pocket a capital gain on a house sale. Reserve Bank figures showed interest-only mortgages accounted for about 41% of all new lending in May, up from 38% in January when it first started collecting the data. Of existing home loans, interest-only mortgages totalled $60.82billion as at March 31, or 28% of total loans. Supply was now increasing and any reduction in immigration and/or banking lending was likely to have a dramatic impact on house prices. Housing bulls should keep a close eye on the rising supply figures, he said. The pushes to increase supply should eventually work, and with limits put on investors in the market supply may switch from lagging to exceeding demand. It’s anyone’s guess whether the market will flatten or fall. Bigger cots for rental homes? David Farrar posts Little thinks increased cots don’t get passed on at Kiwiblog – yeah we all make typo mistakes, I don’t think he means that rental homes should have bigger cots for bigger babies. Andrew Little says it’ll only be “greedy landlords” who hike rents on the back of his proposed Bill to insulate and warm homes. But Mr Little rejected suggestions the new requirements would lead to an increase in rents, saying landlords will have plenty of time to absorb the cost. “That in my view, is a cost landlords will be able to bear over that time, given the increasing value the property will enjoy over that period. This reflects the mentality of someone who has never run a business. Like many unionists Andrew seems to think that it doesn’t matter if costs go up, as owners can wear it and won’t increase their charges. If you force landlords to spend $5,000 more on a property, then that cash needs to come from somewhere. Farrar is right. I don’t know if Little is naive or ignorant of basic business economics, but in general it’s inevitable that increased costs will result in increased charges. But both Little and Farrar miss a key point. If a landlord pays to install insulation and better heating (usually a heat pump) then it’s likely they will put rent up to covered their increased costs. So the renter may have to pay more for rent. It should only be a little more. But their reduced costs for heating and potentially for medical costs should easily compensate for that. There may be some landlords who baulk at putting more money into their rental properties, or simply cannot afford to pile more money into their investment. So some landlords may sell up. This is a different issue but also potentially an important one. Another landlord will buy the property and may charge higher rent. Or a home owner may buy the property and live in it, reducing rental stock. If a number of landlords quit property investment then reduced supply could also force rents up. It’s a lot more complex than suggesting that only “greedy landlords” will put up rents. Land tax too little too late? Herald: The Land Tax proposal, too little too late? We haven’t got any land tax yet so it’s not even too little, it’s currently nothing but a possibility. The Prime Minister’s talk of a new tax on land is a sign that he is worried by the resurgence in house prices, as he should be. A land tax, should it be adopted, will need to apply to all investment housing, and arguably it should. Not just foreign owned property, but this gets a bit complex with local property investments. Land is the precious commodity, not housing. Land values are the rising element in real estate prices. The Government has long blamed the scarcity entirely on the Auckland Council’s efforts to contain the city’s sprawl but it was never that simple. A great deal of land zoned residential spends many years lying unused as its value appreciates. Vacant residential sites can be bought and sold and amalgamated and sold again, returning good profits for no investment in buildings or any other improvements. Its value purely reflects the popularity, or potential popularity, of its location, which in turn reflects the investment others have made in that area, individually by building homes, collectively by supporting schools and other public amenities. An annual land tax could recover some of the added value that owners of idle land are reaping for no effort on their part. Just as important, it could entice them to build on the land in order to obtain more value from it. Landowners will point out they already pay a land tax in the form of rates to local bodies, which all households pay. But an additional land tax was studied by a tax working group for the Government six years ago as a way of taxing those who can avoid income tax and found its value for that purpose limited because, like capital gains tax which the group also considered, it is liable to be riddled with political exemptions. John Key would exempt houses owned by New Zealanders living overseas – trade agreements permitting – if the tax is to be imposed only on non-resident buyers. But there is no case for exempting expatriates, or indeed investors domiciled here. If a land tax is to help increase the supply of houses it needs to be applied to all property lying vacant and accumulating unearned wealth. But it sounds like a land tax is only under consideration so is presumably quite a way off, if it happens at all. Unless the Government is trying to hide their intentions in next month’s budget. Obviously New Zealand has a problem with escalating land and property prices, especially in Auckland. Can anything effective be done about it? If so is it too late? NZ Herald reports that John Key has suddenly threatened a land tax to foreign based buyers, possibly including Kiwis living abroad. In a dramatic shift in position, John Key is threatening to apply a land tax to foreign-based house buyers if there is evidence they are pushing up New Zealand house prices – and it could apply to Kiwis abroad. The evidence on foreign buyers could be just two weeks away. A land tax to dampen demand by foreign-based buyers would be a complete flip in the Government’s insistence that overseas speculation has not been a problem in the heated property market, and a switch from its focus on increasing supply. The Prime Minister told the Herald any land tax could also apply to Kiwis abroad with property in New Zealand after an exemption period of perhaps three years away. It was all subject to design and whether it breached tax agreements. 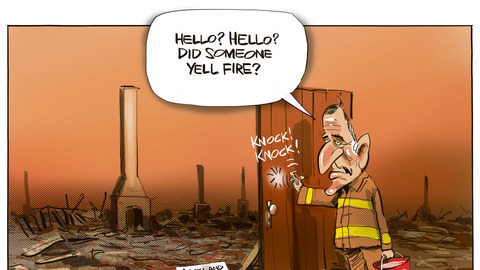 Mr Key thought any tax would be less than 10 per cent of the value of a property and be charged annually. Mr Key said there would be no land tax measure in the May 26 Budget and there was no evidence yet that one was needed. He is waiting on data on the number of foreign buyers that has been absent from the debate on over-heated house prices, data which will be available in two to three weeks. Mr Key acknowledged he started looking at options when Labour adopted a policy to ban foreign-based buyers unless they were buying new houses. He had looked at other options, including imposing stamp duty on foreign-based buyers – a one-off payment imposed at the time of transfer of the property. A land tax was the most effective because it was annual and could be adjusted for conditions. “If you want it to be much more difficult for a non-resident to buy a property, the most effective way to deal with that issue is a land tax because it is annual, it is expensive, it can be ratcheted up or down. Whether offshore New Zealanders are included would be contentious, but if it is to work fairly it would need to cover as many as possible without targeting or favouring nationalities. Investors chasing big capital gains in the Auckland property market are making it harder for first-home buyers to afford a house. The Supreme Court has released a judgement that says that copied computer files can be considered property. Mr Dixon was charged with accessing a computer system for a dishonest purpose under s 249(1)(a) of the Crimes Act 1961. Section 249(1)(a) provides that a person commits an offence if he or she “directly or indirectly, accesses any computer system and thereby, dishonestly or by deception, and without claim of right … obtains any property, privilege, service, pecuniary advantage, benefit, or valuable consideration.” The Crown case was that the digital footage that Mr Dixon had obtained was “property”. At trial in the District Court, Judge Phillips accepted that the footage was “property” and directed the jury accordingly. Mr Dixon was found guilty, and sentenced to four months’ community detention and 300 hours of community work. Mr Dixon appealed to the Court of Appeal against both conviction and sentence. The main ground of the conviction appeal was that Judge Phillips had erred in finding that the digital files were “property” under s 249(1)(a). After the hearing, Mr Dixon also raised complaints about his trial counsel and about the Judge’s summing up. The Court of Appeal accepted that the files were not property within the meaning in the Crimes Act because they were simply “pure information”, the orthodox view being that information is not property. The Supreme Court granted Mr Dixon leave to appeal on the question whether the Court of Appeal erred in dismissing his appeal. The Supreme Court has unanimously dismissed Mr Dixon’s appeal. The Court has held that Judge Phillips was right to find that the digital files which Mr Dixon acquired were “property” for the purposes of s 249(1)(a), and that the Court of Appeal was wrong to quash Mr Dixon’s conviction for obtaining “property” and substitute a conviction on the basis he obtained a “benefit”. The Court has reached this conclusion taking account of the fact that the word “property” does not have a fixed, technical meaning but must be interpreted in context. Here, “property” was defined broadly, to include both tangible and intangible property. Considering both statutory purpose and context, “property” in s 249(1)(a) included the data files at issue. Those data files were identifiable, were capable of being owned and transferred and had an economic value; they fell within both the popular and legal meanings of “property”. The Court was satisfied that it is a more natural interpretation of s 249(1)(a) to say Mr Dixon took “property” when he acquired the digital files, than it is to say that he acquired a “benefit”. This could have implications in ongoing investigations Nicky Hager for having data from the Rawshark hack. Am wondering what implications the Supreme Court decision in Dixon, could have for Nicky Hager’s receipt of computer files from Rawshark. My understanding is Police initially looked at Nicky as a suspect, but Dixon/Watchorn meant they stopped doing that & changed to witness. And it could also figure in the dispute over a hard disk in the defamation Blomfield versus Slater. But if someone (like Hager) does something that he believes complies with the application of the law at the time is it fair to then investigate him based on a new and different ruling? I’m not a lawyer so don’t know what this will turn out meaning and changing. The appellant, Jonathan Dixon, worked for a company which provided security services to a bar in Queenstown. During the 2011 Rugby World Cup, members of the English rugby squad visited the bar, including the vice-captain Mike Tindall. Mr Tindall was seen socialising, then leaving, with a female patron. This was recorded on the bar’s closed circuit television (CCTV) system. Mr Dixon obtained a compilation of the relevant CCTV footage and attempted, unsuccessfully, to sell it to overseas media interests. He eventually posted it on a video-sharing site, where it was picked up by various media outlets. Mr Dixon was charged with accessing a computer system for a dishonest purpose under s 249(1)(a) of the Crimes Act 1961. Section 249(1)(a) provides that a person commits an offence if he or she “directly or indirectly, accesses any computer system and thereby, dishonestly or by deception, and without claim of right … obtains any property, privilege, service, pecuniary advantage, benefit, or valuable consideration.” The Crown case was that the digital footage that Mr Dixon had obtained was “property”. At trial in the District Court, Judge Phillips accepted that the footage was “property” and directed the jury accordingly. Mr Dixon was found guilty, and sentenced to four months’ community detention and 300 hours of community work. Mr Dixon appealed to the Court of Appeal against both conviction and sentence. The main ground of the conviction appeal was that Judge Phillips had erred in finding that the digital files were “property” under s 249(1)(a). After the hearing, Mr Dixon also raised complaints about his trial counsel and about the Judge’s summing up. The Court of Appeal accepted that the files were not property within the meaning in the Crimes Act because they were simply “pure information”, the orthodox view being that information is not property. However, the Court considered that Mr Dixon was guilty of accessing a computer to obtain a benefit, which is also an offence under s 249(1)(a). Exercising its power to substitute a verdict under s 386(2) of the Crimes Act, the Court of Appeal quashed Mr Dixon’s conviction and substituted a conviction for obtaining a benefit. The Court was satisfied that none of the other matters raised by Mr Dixon justified quashing his conviction. The Court also dismissed Mr Dixon’s sentence appeal. Prior to the hearing in this Court, Mr Dixon dismissed his counsel and presented submissions for himself.Those submissions focussed on errors which he argued had been made by the trial Judge, resulting in a miscarriage of justice. Written submissions filed on his behalf by counsel before they were dismissed supported the Court of Appeal’s finding that the digital files were not “property” but argued that the Court of Appeal was wrong to exercise its power to substitute a conviction. The Crown argued that the digital files were not “pure information” but were “property” within the meaning of the legislation as they were things which could be owned and dealt with in the same way as other items of personal property. The Supreme Court has unanimously dismissed Mr Dixon’s appeal. The Court has held that Judge Phillips was right to find that the digital files which Mr Dixon acquired were “property” for the purposes of s 249(1)(a), and that the Court of Appeal was wrong to quash Mr Dixon’s conviction for obtaining “property” and substitute a conviction on the basis he obtained a “benefit”. The Court has reached this conclusion taking account of the fact that the word “property” does not have a fixed, technical meaning but must be interpreted in context. Here, “property” was defined broadly, to include both tangible and intangible property. Considering both statutory purpose and context, “property” in s 249(1)(a) included the data files at issue. Those data files were identifiable, were capable of being owned and transferred and had an economic value; they fell within both the popular and legal meanings of “property”. The Court was satisfied that it is a more natural interpretation of s 249(1)(a) to say Mr Dixon took “property” when he acquired the digital files, than it is to say that he acquired a “benefit”. The Court also considered whether Mr Dixon’s trial miscarried. The Court has found that Mr Dixon had the opportunity to put his explanation for his conduct before the jury and there is no risk of a miscarriage of justice resulting from the way the case was left to the jury by trial counsel or the trial Judge. Accordingly, the Court has reinstated Mr Dixon’s original conviction for obtaining property contrary to s 249(1)(a) and has quashed the Court of Appeal’s decision quashing that conviction and substituting a conviction for obtaining a benefit contrary to section 249(1)(a). What sort of money is fueling Auckland property boom? ‘Kiwi-guy’ keeps repeating that Chinese “hot money” is driving Aucklands property price inflation. The property hustlers know the cat is out of the bag now and are positioning themselves accordingly. Except that Labour’s data did not determine anything about the number of Chinese-based buyers. Labour pointed to it as probable but provided no data to back up that presumption. More quotes from that article from Kiwi-guy. “I believe that overseas investment is good for New Zealand but I believe it should only be in new construction. The overseas investors should have to build new houses, not buy into the existing housing stock. That creates shortages,” Barnett said. “Then, if overseas investors come to New Zealand and develop houses, they are adding to the housing stock. I think that’s a good thing. But I acknowledge those are not the rules in New Zealand currently,” he said. The problem with that is Auckland has a shortage of building sections, and the problem their is land price inflation. If overseas investors were forced into new builds only that would do thing to stop land values being pushed up as they would be competing for a limited supply. “I approve of Inland Revenue’s new rules from October that all buyers must have an IRD number. Those controls are good because property values have traditionally risen over a long term and speculators should pay tax. Speculators are required to pay tax now. If your business is to buy and sell houses then the Government and IRD make it clear that tax is due on any profits. IRD have been increasingly active in enforcing current tax law that covers speculation and trading in property. Also at NZ Herald is a report on some actual data – Investors head first-home buyers. New Zealand banks approved three times as many mortgages for investors as they did for first home-buyers over the past year, Reserve Bank figures show. The Reserve Bank’s lending data showed that in the first half of this year, banks approved 31,123 home loans for investors and 9,890 for first-home buyers. The average loan size was also larger for investors. Over the past six months, investors were given an average mortgage of $331,427, compared with $317,796 for first-home buyers. The article looks a bit like a Phil Twyford PR piece as he is quoted prominently. Further down the article a mortagge specialist is also quoted. Mortgage specialist Bruce Patten, of Loanmarket, said that the figures “matched his experience”, and possibly even underplayed the prominence of investors in the market. “I wouldn’t say it’s necessarily at the expense of first home-buyers but it’s certainly in competition with first-home buyers,” Mr Patten said. The proportion of loans going to investors appeared to be increasing as property speculators rushed to buy or sell in Auckland before lending rules were tightened in three months’ time. “June was the biggest month … the banks had ever seen in terms of processing mortgages,” he said. “The numbers are horrendous at the moment. The banks are running at absolute capacity.” From October, investors will need to have at least a 30 per cent deposit if they are buying within the Auckland Council limits – a move which could make the market more accessible for first-home buyers. This demonstrates risks with trying to alter the market through regulation, the market reacts to impending changes. What to do about it? Should lenders be forced to loan more to first home buyers and less to investors? Even if it could be done it would probably increase lending risks. And way down the article a property investor points out the obvious. Property investor David Han says it is easier for those who already own properties to invest in more. “Banks require security, when you already own properties it makes it easier to get a loan than someone who has nothing,” Mr Han said. He said he chose to invest in properties because it was “simple” and “straightforward”, unlike other forms of investments. “To invest in shares or business, for example, banks will look at income projections, business plans … it’s harder to get the bank’s money,” he said. Mr Han said the “toughest part” for any would-be property buyer would always be getting a loan to buy their first property. Especially for first home property buyers in the inflated Auckland market. There’s no easy solution to this, unless people wanting to become property owners look to where houses are more affordable to make a start on the property ladder. A problem that may always remain is that Auckland wants to be a ‘international’ city, so is likely to be expensive to live in, like Sydney, New York, London etc where first home buyers on average incomes are priced out of the markets. Is the answer to enforce isolation for Auckland and New Zealand and put strict property price controls in place? Eve to deflate property values in Auckland? I doubt even Labour would go anywhere near there. But back to Kiwi-guy’s original point – there is still no data on the proportion of overseas investor money going into the Auckland market – and the Reserve Bak mortgage data shows there is a lot of local money going into the market. There is still no data on the proportion of Chinese based buyers in the market. And I haven’t seen any evidence that any Chinese money is “hot money”. Perhaps Kiwi-guy can explain what he means by “hot money” and perhaps he can provide evidence of what proportion of house purchases involving “Chinese hot money”. …selling a residential investment property valued at the $1million mark. It has been marketed vigorously by a leading agent (not B&T) for three weeks. We have had 70 interested parties through. It is an attractive property. There will be seven that we know of bidding at the auction tomorrow. Of the 70 through, only one was of offshore Chinese stock. They have indicated that they will not be bidding. My agent says the the current fuss is a load of codswallop. The property was sold for 36% above CV 1 July 2014. There were seven bidders. Only one was non-NZ. This person was a pakeha NZer long term resident in Hong Kong looking for a place to have back in Auckland. All the bidders were pakeha NZers. My view is that this successful sale reflects the robustness of the NZ economy in this part of the market, and the low interest rates available from the mainstream banks. For most NZers, this is all good news. The successful bidder is moving into a residence they want, and selling their current property to some other NZer that wants it. This is called the market in most jurisdictions. There were a total of nine places auctioned, with all similar results to ours. Some non-pakeha bidders, but all plainly NZers. Perhaps supply is a push factor too as all properties were keenly contested. Sounds like willing Kiwi buyers, happy seller (who gave me his name and contact details).